As you may know, I have been reading John Calvin’s tome, The Institutes of the Christian Religion, 2 Vol. I've had a few people ask me why, to which I quickly point them to CSL’s introduction to Athanasius’ On the Incarnation. In that introduction Lewis writes, “It has always therefore been one of my main endeavours as a teacher to persuade the young that firsthand knowledge is not only more worth acquiring than secondhand knowledge, but is usually much easier and more delightful to acquire.” This has definitely proved to be true concerning my time in Calvin. It’s amazing to see the difference of what was actually said (in context, no-less) compared to what has often been misquoted, misunderstood, or wrongly attributed. With that, I hope to accurately put forth Calvin’s position on the natural man and God. The question has been posed: How much can the unregenerate know of spiritual things? This inquiry has been a source of much contention over the years. 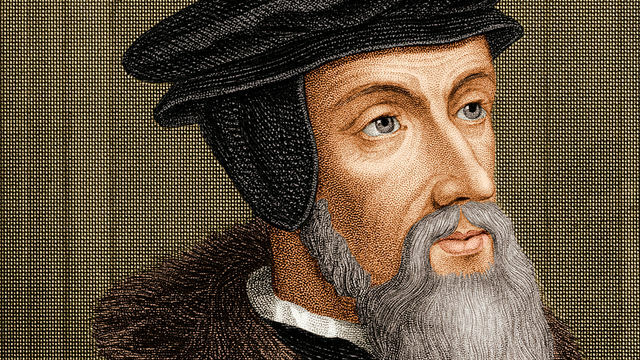 One heavy hitter typically enlisted in this squabble is the somewhat infamous John Calvin. Sadly, in the same way that many call themselves Christians without reading God’s Word, many gladly parade the pews as self-professed Calvinists without even attempting to discover what he himself wrote. Naturally, my first question was, how can we who are dead in our trespasses see, feel, or hear anything? Calvin retorts, “the Lord indeed gave them a slight taste of his divinity that they might not hide their impiety under a cloak of ignorance.” Ultimately, man’s knowledge of God is still God’s own work. To be sure, Calvin rightly deems human reason impotent in coming to an understanding of God. “Human reason, therefore, neither approaches, nor strives toward, nor even takes a straight aim at, this truth: to understand who the true God is or what sort of God he wished to be toward us.” But I found it interesting that Calvin, when discussing the unregenerate’s natural disposition toward God, describes his condition as blind and not dead. Calvin, The Institutes of the Christian Religion, 2 Vol. vol. 1. 2.2.18-19, pp. 277-278.